Easily find and compare Norway Fjords, Baltic Sea & Scandinavian cruises from Liverpool cruise port. Ship schedule from Liverpool, UK includes Norway and Norwegian Fjords, Scandinavia, Baltic Sea and the Arctic cruises. 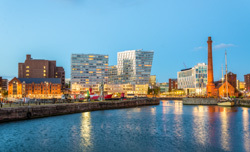 Find out what to do near the port of Liverpool, UK and get other tips.